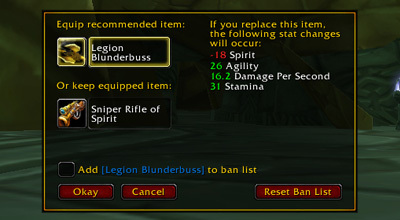 Compatible with Recruit-a-friend, Dungeons, Heirlooms and PVP leveling. 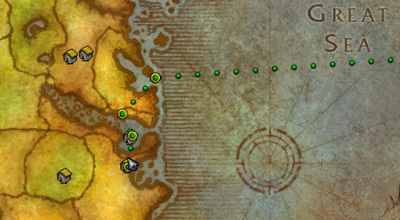 The standard features alone will allow you to breeze through each zone in World of Warcraft. This is a revolutionary feature invented by Dugi Guides. The new Taxi System will dynamically make our waypoints create the fastest route for your character to get to your location from your current position. It will also automatically suggest the use of Hearthstone, Teleport spells, Flight master, Portals, Boats, Zeppelins and more. A customized route will be created as if our guide has been tailor made for your character. 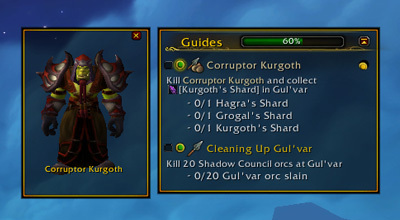 With Dugi ‘Guide Suggest Mode’ the addon will instantly suggest the best leveling guide for your character, the Suggest button will instantly sync the guide with your character’s level. There are also three different setting to suit every player skill level. 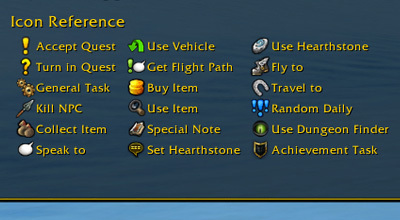 This powerful feature is a customized macro to target NPC for you to kill or interact for every single quest and also place an Icon above them to help you find them. This is a priceless feature that will help you find those pesky hidden NPC or help you compete against other players for killing a monsters in heavily populated servers. 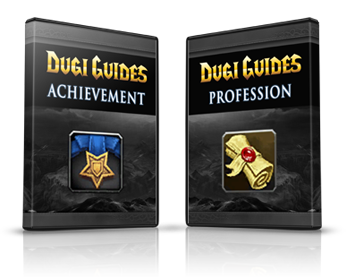 You don’t have worry about the guide not being compatible with your character because Dugi Guides will automatically load the correct questing path for any combination of each race and class. The model viewer will show you exactly what each NPC or Object look like in 3D. Now you will know exactly what you’re looking for before you reach your destination. What better description than a 3D image of exactly what you’re looking for. With this feature you never have to worry about deciding which gear is best for your character. It will also suggest the best quest item reward as an upgrade or to sell for gold. 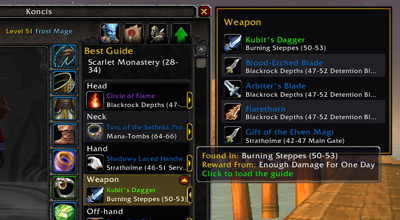 The gear advisor will work for any class specs and levels and easily customizable. Our latest feature will help you find the zone to find upgrades for your character. It will search through a database of quest rewards and boss drops from dungeons then compare it with your items to find the best suggestion for each slot. Load more suggestion button is available to display more suggestions for the same slot. 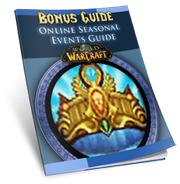 Included as part of our package is our Events guide, these seasonal events are the source of COUNTLESS fun items that you can only get during the events such as Brewfest Pony Keg, Brazier of Dancing Flames and many more! You can also earn many achievement points that will count towards getting your Reins of the Violet Proto-Drake one of the fastest flying mounts in the game. Best of all these events are fun! The Events guide will change every year as Blizzard adds more content, and these updates are free. In-Game guides are also included with our events. Yet another amazing result with Dugis! So I recently decided to reroll on a new server, and I wanted my hunter again (the class I have always played) I transfered my heirlooms and started leveling my troll hunter right away, and this is the speed that I achieved! The bottom line is this: My system for WoW is 100% guaranteed to work for you… just like it’s worked over 100,000 other gamers before you. If you’re tired of wasting time following the wrong path to level 100, this is for you. If you don’t know what to do in dungeons, this is for you. If you have no idea on how earn reputation and complete daily quest, this is for you. If you have no idea on how complete events and gain easy achievements, this is for you. Note: The images above are just a representation of our products. All DugiGuides.com products are provided electronically and you will not be sent a physical product. Upon purchase I will instantly gain a login and password for unlimited instant access to our members area. DugiGuides.com only provide electronic products and it is only available to view and download online to ensure that our guide is always up to date. If you don’t like the WoW, Horde or Alliance guides that you purchased for ANY reason, you can return it for an immediate 100% refund of your purchase price. And remember, this is a 60 days guarantee. You’re free to return it next week, next month, or up to 60 days from now. Just e-mail me and I’ll process an immediate 100% refund. With your instant money-back guarantee, there is literally NO RISK. 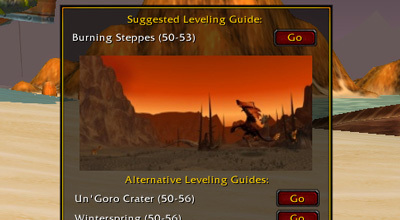 You heard me correctly, these amazing systems for the WoW Leveling Guide, Alliance or Horde Leveling Guide really work. And I stand behind it 100%. Test drive WoW, Horde or Alliance for 60 days. If you aren’t absolutely thrilled with the WoW, Alliance or Horde Guides for any reason (or for no reason at all) just let me know. I’ll give you a full refund with no questions asked. There are no questions asked, no “wiggle clauses” and no funny business. You have 60 full days to put it to work for you, and you either you love it or you get a refund. Wouldn’t it be great if everything came with this kind of guarantee. 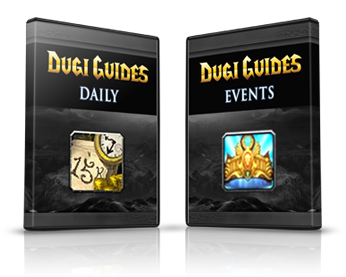 So, click here and get your discounted access to Dugi Guides right now. You have absolutely no risk…and everything to gain! You’ll be thrilled with playing World of Warcraft (WoW) the easy way and overjoyed on how much fun it is to have a level 100 character with the best gears and millions of gold. Click here and get instant access right now. The guide is top notch, the support and communications are unrivaled, the updates and improvements are amazing. 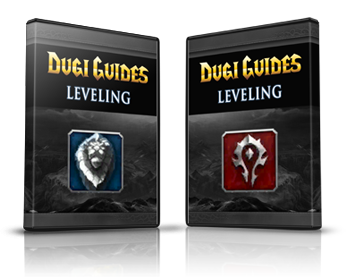 I have my leveling guide and I will be getting Dugi’s other guides, count on it. Thank you Dugi you are the undisputed best! 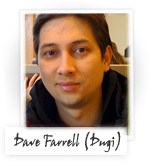 Have to say, WOW Dugi! 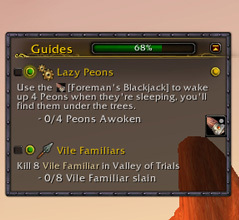 Dugi, these guides make leveling those toons so much more enjoyable and completely lost track of time and worries as I just followed the arrows, killed everything I felt like killing and just turned in quest after quest. 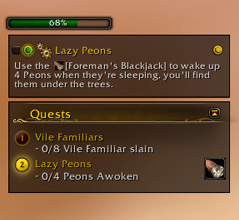 Anyone considering this addon, the money is worth it. And not only is the app a complete joy, but Dugi’s customer service has never failed to impress me and I can’t recommend this service enough. Good on ya Dugi! You got a customer for as long as you keep going with it. You provide a “GREAT” app and the service you provide is top notch. I bought the leveling guide to work on my alts and get my main to 85. After seeing how easy it was, I got my main alt to 85 as well. I decided to try the dailies guide and maybe it wouldn’t be such a drag to get the Exalted Gear. I cant farm Heroics due to the 35 to 45 min queue time on my server for dps so the tabards don’t help me much. After following the Dailies Guide it was such a breeze to get Exalted with a few factions, I started farming dailies everywhere while waiting in queue for heroics, and it make the wait seem like no time has passed and I average 2k per day income between dailies, random, and loot. Now I have 4 toons at 85, 3 of which are at item level 349 + and 3 more that are at 75, 80, and 82. 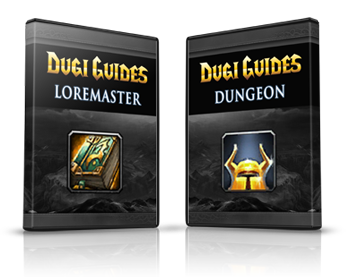 If I could have it to do all over again, I wouldnt hesitate to spend the money on Dugi’s Guides. 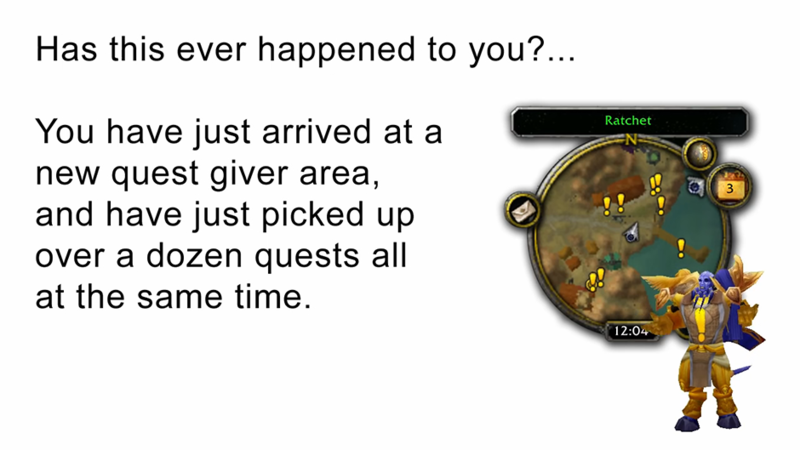 The greatest wow guides… ever! This add-on is a must have! I’ve recently used it to level an allied race alt and the time saved is fantastic! Please keep updating this wonderful application! Will Dugi have a Classic version too? yes, we’re looking into it. Shopping for Dugi Guides for $ 6.99, does it come complete? Do I need to pay monthly or is this lifetime value? 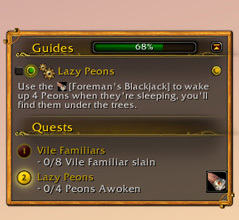 Will this guide be even for BFA ?